Abercrombie & Fitch, teen fashion retailer, has been known to be a little bias when it comes to their models and employees. 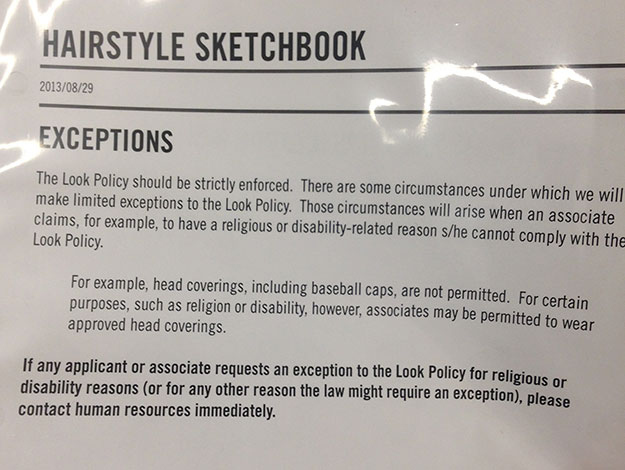 Recently, the retailer released their "Look Policy Guidelines" for store employees. 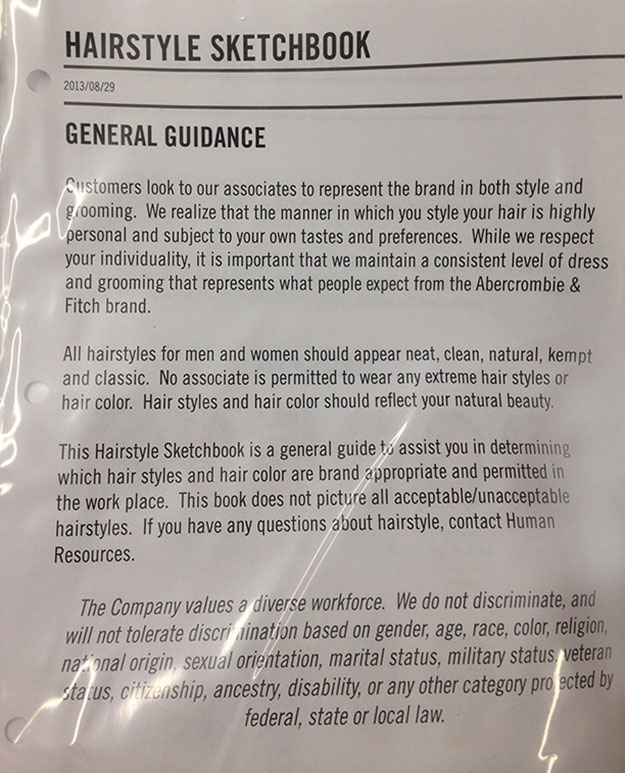 Say what you want about A&F, but at least they think that an afro is acceptable for work i.e. only without extreme coloring or highlights (Well at least that is what the 3rd pic from the left (top) and last pic (bottom) looks like). 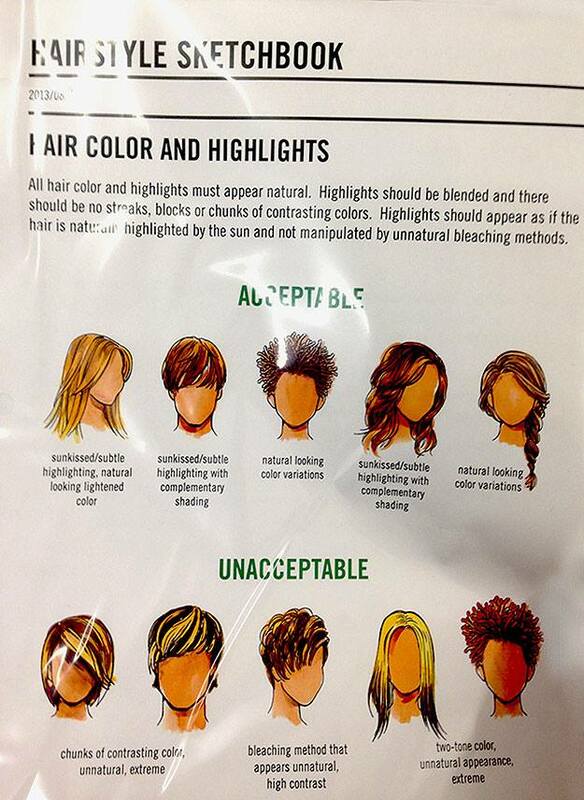 Nonetheless, thank you Abercrombie & Fitch for deeming our natural hair 'acceptable'. 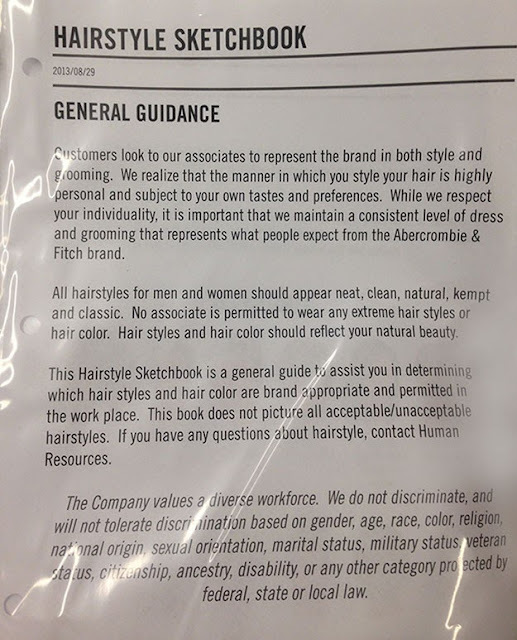 What Do You Think About A&F's New Hairstyle Policy? 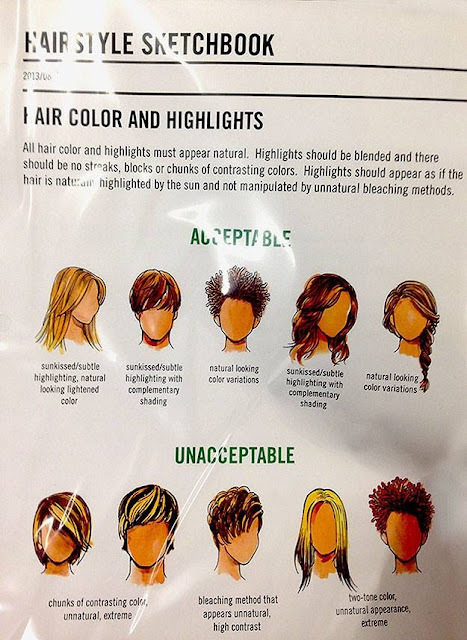 Two-Tone color and Bleached hair isn't acceptable unless you're living in the early 200s. I say kudos to A&F. I personally don't shop there because I am not a high school teenager from Laguna Beach but I think it's cool that they recognize and accept natural hair. Rihanna's New Mullet....What Do We Think? Natural Hair | Blue Ivy's Hair: Do You Care?